In a study, researchers reported dogs disturbed women's sleep less than a human when sharing a bed together. NORFOLK, Va. (WVEC) — Dogs aren't just man's best friend. It turns out women sleep better when they share their bed with a dog. A survey of 962 women found that 55 percent sleep with a dog and 31 percent with a cat. Fifty-seven percent of the women also slept with a person, so at least there is some overlap there. 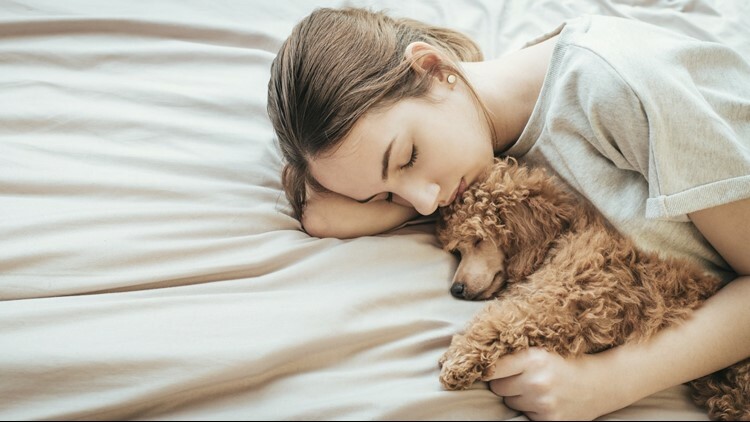 Researchers took the information and found out that dogs disturbed women's sleep less than a human. They also gave women stronger feelings of comfort and security. Cats were found to be just as disruptive as human partners.